Who doesn’t love free stuff, right? Over here at VIP Spades, we strive to do our best to get into our players’ shoes and meet their demands. As avid card players ourselves, we all value the encouragement to progress further provided by receiving free coins. In the article below, the main methods to obtain free coins will be highlighted. Pay attention though, as some malpractices to avoid will also be mentioned! The best way to ensure that you have a steady income of chips is by visiting VIP Spades on a daily basis. 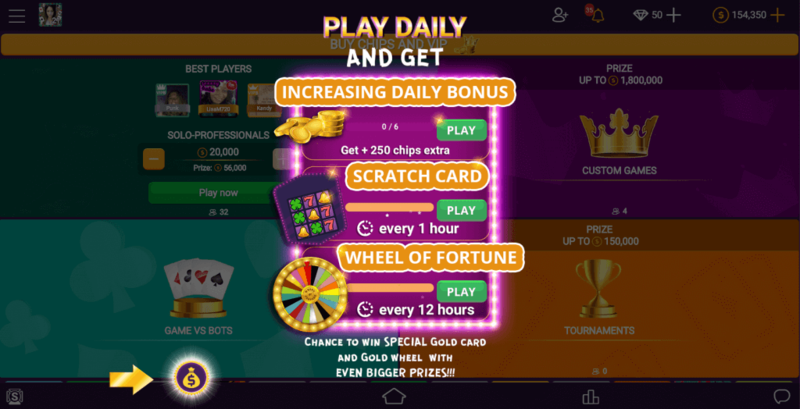 Claiming your daily bonus provides you with enough chips to get you going and start winning! Coming back daily has another benefit. The number of chips you receive increases each time you receive your bonus. After a few days, you will reach the maximum, which would easily give you the chance to show your skills in a game, even leaving you spare chips in the process! Already got your daily bonus and want to scratch that VIP Spades itch? The scratch card is just what you need! 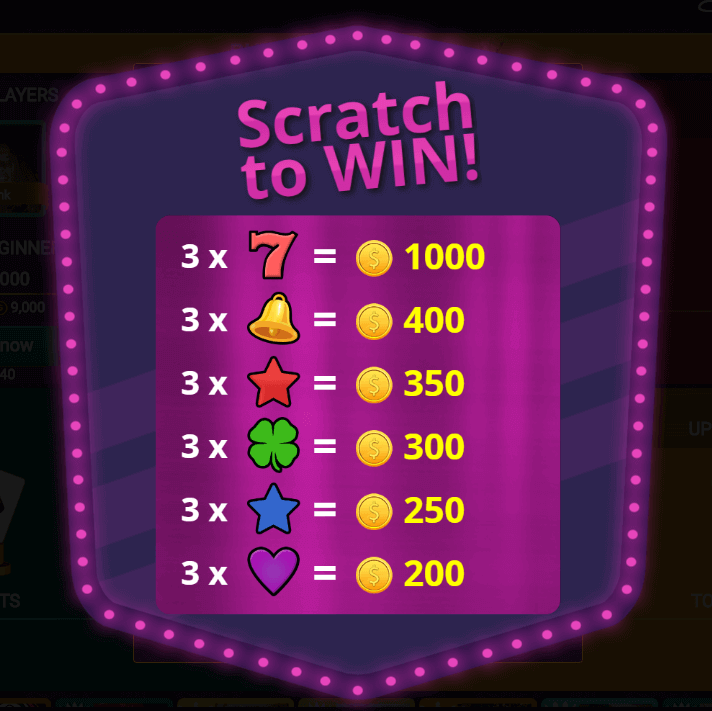 Scratch your way to bonus chips every hour! This is one of the fastest ways to earn free chips, so don’t forget to make the most of it! Feeling lucky? Ready to win huge prizes? 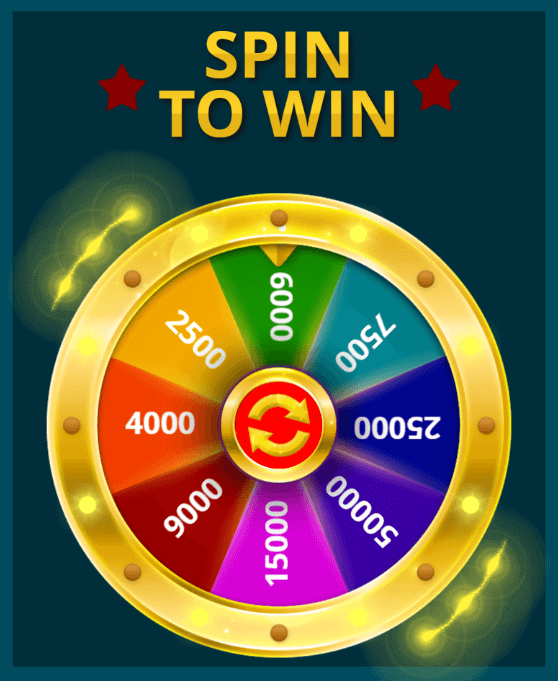 Spin the Wheel of Fortune every 12 hours for a guaranteed bulk of coins! Make sure you don’t miss out on a single spin, as the amount of free coins which you would receive is sure to last you a while! One of our main advantages over other competitors is that we strive to provide the best social experience. While it is a challenging task, our number one priority is to connect you with as many other players as possible, all over the world. What better way to have more fun than to play with your friends? Send them an invite and receive your free coins the moment that they complete their registration! On top of that, you can receive even more chips when they get to level 2! Get social! Invite as many friends as you’d like, as there is no limit to how many rewards you can receive. You can regularly check our VIP Spades Facebook page for any mini-games and quizzes. We often give rewards to a lucky number of people. By checking our FB feed you can participate in such games and win extra coins. This is quite helpful if you are low on chips. Simply like us on Facebook and whenever there is a bonus play we will pop up in your newsfeed. We strive to provide every single one of our players with the best possible experience. This includes expecting them to abide by fair rules and practices. No third-party software and hacks are allowed in order to gain an unfair advantage over other players. If a player is found guilty of such behaviour, his or her account will be banned immediately. Additionally, no known 3rd party software actually works on our platform. If you try to use such, chances are you are going to get scammed. Another important aspect that deserves attention is multi-accounting. Our stance on the matter is that it is strictly prohibited. We monitor people who exploit this and create multiple accounts very closely, therefore any such attempts will be met with a ban.